Time for a look at figures from the latest wave of Star Wars Black Series to drop, Wave 20’s Mace Windu and Mudtrooper Han Solo. Last year I hit my breaking point with Black Series and had to drop down from being a completionist to just cherry picking the ones I really want. Mace and Mudtrooper Han fit that mold. The rest of the Wave has some nice pieces in it like Padme and the Battle Droid, but for my personal collection I gave them a pass. Mace is the star here, with a super well done Photo Real head, » Continue Reading. 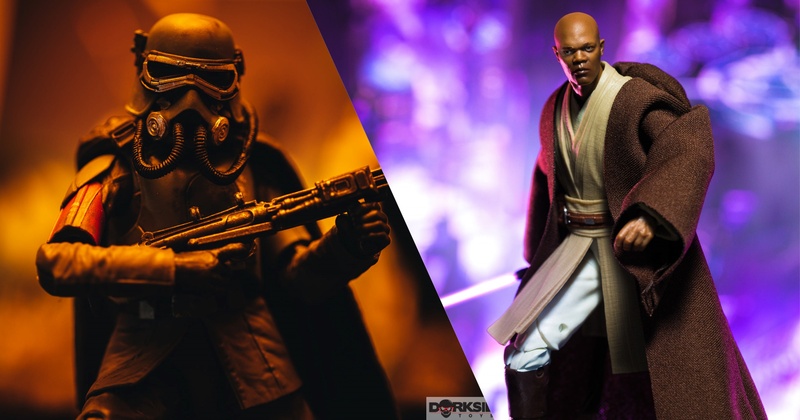 The post Star Wars Black Series Wave 20 Mace Windu and Mudtrooper Han Solo Gallery appeared first on The Toyark – News.